We add these Myprotein discount codes and offers by hand. They're checked each morning to ensure they work as described including our Myprotein mystery discount. Get FREE Next Day Delivery when you buy Myrange or PhaseTech at Myprotein! Get 33% OFF Best Sellers at Myprotein! Save Up to 35% Mystery Discount at Myprotein! FREE water bottle when you spend £70 on New In Clothing at Myprotein! 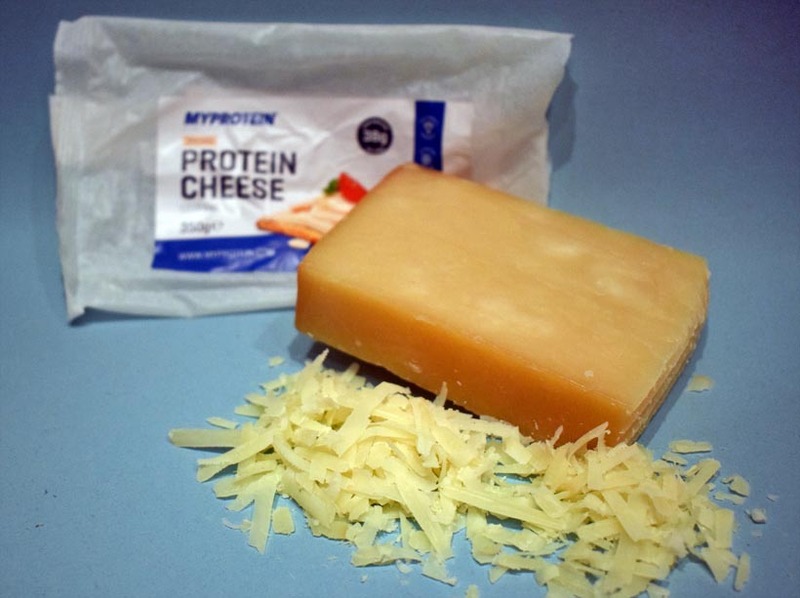 You’ve saved by buying priced to clear stock at Myprotein! Sale will end at 7AM on 23rd October 2018. Get a further 25% off certain best sellers. Expires on July 25th 2018	Valid from 16/07/2018 until midnight 25/07/2018. Get 25% OFF Your Myprotein Purchase. Shop Now and Save! How Do I Get Discount on MyProtein? Use one of the ProteinPromo exlusive MyProtein discount codes above to get 35% off your total order value by entering our coupon code at the checkout. There are several other vouchers available which could save you up to 50% on your order. You will find various deals on MyProtein bundles that will include money off, free delivery, or free gifts depending on your total order value. MyProtein have almost 30,000 reviews on their TrustPilot review page, of which over 65% scored their service and products at 5/5. Their Impact Whey Protein is a hugely popular product and is considered excellent value. it has been rated 83.6/100 on LabDoor, with their ingredient safety rating at 98% and their product purity rating at 90%. Each 100g of protein was found to contain 76.9g of protein which is considered fantastic. MyProtein.com manufacture and sell their own protein. In fact, the vast majority of their products sold are manufactured in their world-class facility which has been rated AA grade for food safety by the British Retail Consortium. 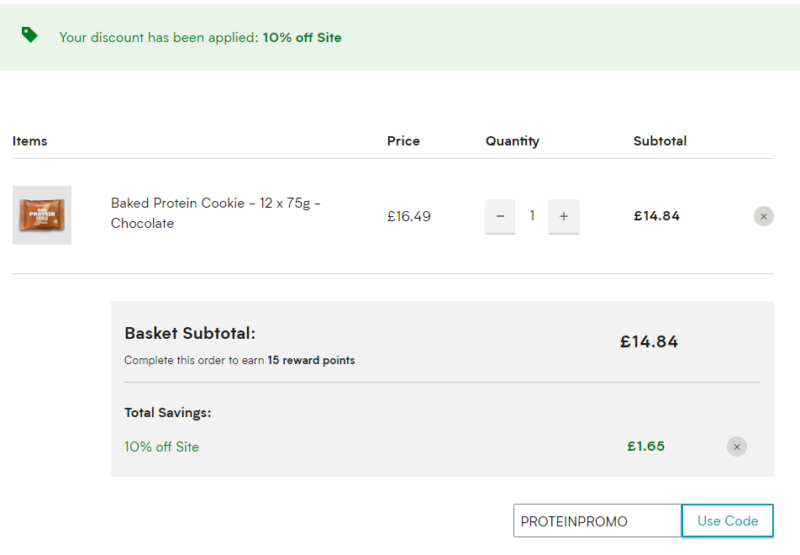 How Do I Use My Myprotein Reward Points? Reward points are assigned to your account each time you make a purchase or refer a friend to MyProtein. They can be redeemed against future purchases from your MyProtein account. Each 100 points would entitle you to £1 off your order. At the checkout you can click the 'Use MP Points' button to use your reward points in exchange for money off your total order value. How Much Are My Myprotein Points Worth? Each time you make a purchase on the MyProtein.com website, you will be given 1 reward point for each £1 you spend. Therefore, each reward point is worth one penny. What Is The MyProtein mystery gift? From our experience, the MyProtein mystery gift is often a protein shaker, a water bottle or a selection of Impact Whey Protein sample sachets. How Do I Cancel My MyProtein Order? Orders can be cancelled partially or in full within your account. Items or the whole order will need to be cancelled before you receive the dispatch email. Who Does MyProtein Use For Delivery? The courier service that MyProtein use for their delivery will vary depending on the customer location. Many customers will receive their delivery from popular courier services such as DPD or Hermes. Customers will be notified of their delivery service upon dispatch of their order. According to the MyProtein returns policy, customers can be reimbursed for the cost of returning items where the customer was sent the wrong item, a broken/damaged/faulty item, or where the customers does not wish to keep a substitute/replacement item. MyProtein products can also be purchased on Amazon and BodyBuilding.com. When Do MyProtein Have Sales? Myprotein regularly have a sale on. From the navigational bar, users can access either the offers page or the clearance page for details. 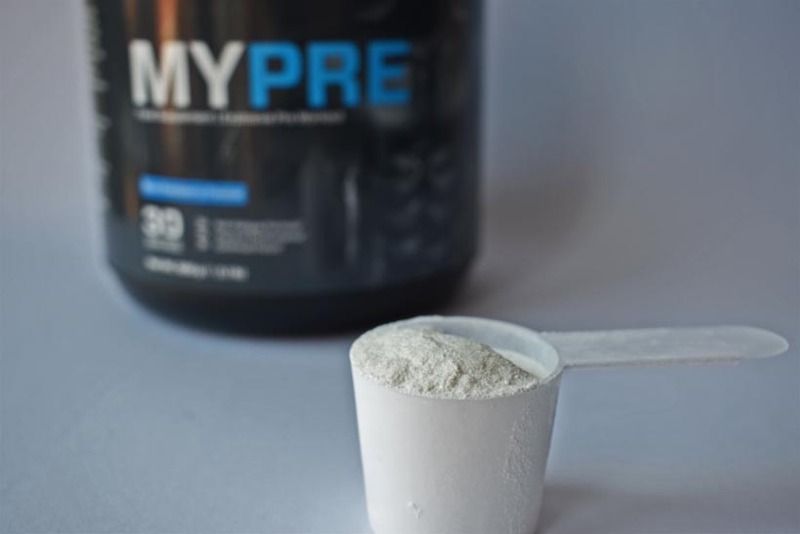 MyProtein hold particularly large sales at traditionally popular times of the year in the fitness and nutrition industry, such as January, early summer and Black Friday. Impact Whey is one of Myprotein's best selling protein powders. It is made from 100% premium grade whey protein concentrate. Each serving (25g) contains over 20g of protein. How many servings does MyProtein Impact Whey have? A bag of impact whey protein comes with a 25g serving scoop. Each bag of Impact Whey Protein (1KG) contains 40 servings. How do you use MyProtein Impact Whey? 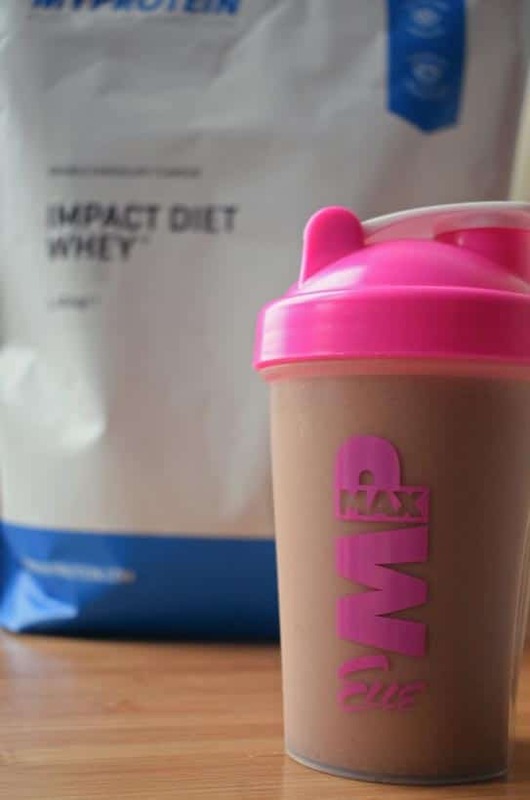 How To Take MyProtein Impact Whey Protein: Add 150ml - 250 ml of water, milk or nut milk to your protein shaker. Add a 25g serving of Impact Whey Protein (1 scoop). Shake well and serve cold. 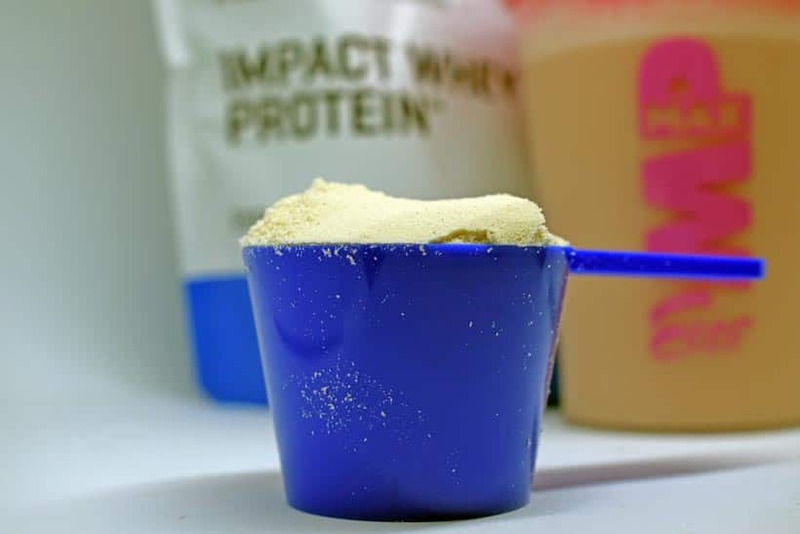 How Many Calories Are In MyProtein Impact Whey Protein? Each 25g serving of Impact Whey Protein contains 103 calories, of which around 82% is protein. What's The Best MyProtein Flavour? The MyProtein Impact Whey Protein comes in over fourty flavours! At ProteinPromo we recommend you stick to the traditional flavours such as Chocolate Smooth, Chocolate Brownie, Natural Banana, Strawberry Cream and Cookies and Cream. How Many Grams Are In A Scoop? MyProtein include a free plastic scoop in their protein and supplements. The blue MyProtein protein scoops are 25g each which is a recommended serving size. The small grey scoop that comes in a bag of creatine is 5g. MyProtein have a large manufacturing facility in the UK. They have also recently established a large manufacturing plant in Kentucky, USA, as part of their ongoing expansion plans in the region. MyProtein products have been tested by several expert bodies within the health, nutrition and food standards industries. Their Impact Whey Protein was tested by Labdoor and graded excellent. Our discount codes, mystery discount and vouchers for MyProtein are incredibly easy to use. SEE ALSO: Our deals for Myprotein Discount Code Canada customers. What’s New At My Protein For 2019? In terms of supplements, their fat binders were new for 2018. 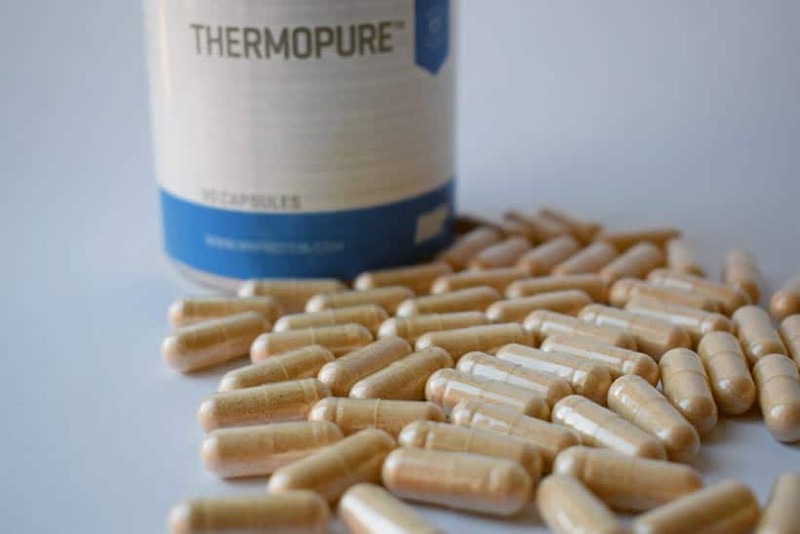 Different to fat burners, the fat binders aim to target fat before it enters the body. Whilst some may be skeptical, reviews are favourable on the product page with a score of 4.2 out of 5 at the time of writing. Without a doubt one of the successes in 2018 was likely to have been their protein Easter Egg! Fitness fans over the world all love to indulge, and consuming protein powder regularly means plenty of us have a sweet tooth! They hit the nail on the head this year with their protein chocolate Easter egg! MyProtein understands this. That’s why they offer trials on all their products to allow you to try them before you buy them. And the myprotein mystery discount is even better if you get up to 50% off with the mystery discount code. Simply put, MyProtein believes in all of its products. And this is exactly the reason why they offer so many great deals and a 35% off discount code to Protein Promo and to their customers. Valid from 16/07/2018 until midnight 25/07/2018. Extra BIG % OFF – The 6 Million Sale at MyProtein! Up to 35% OFF Mystery discount at Myprotein. Shop Now and Save! For a limited time, get 30% OFF your order when you spend £50 at Myprotein! Get 35% OFF Workout Essentials at MyProtein! Shop Now and Save! Enjoy this Mystery Discount #Percent OFF at Myprotein! Shop Now and Save! Get 26% OFF your order at Myprotein! Shop Now and Save! 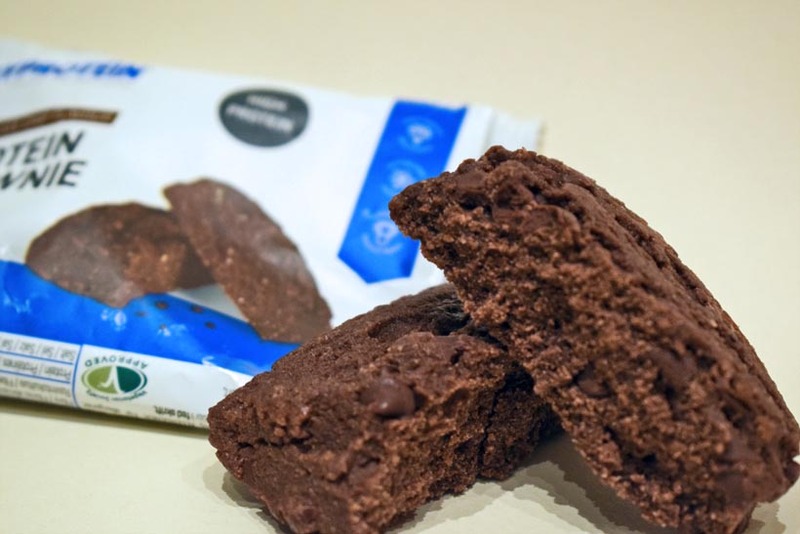 Get 2 boxes of baked cookies for only £20 at Myprotein. Save Now! Get an EXTRA 5% OFF The Protein Sale at Myprotein! Get 35% OFF on Myprotein Best Selling Products! Shop Now and Save! Get 32% OFF when you spend £50 at Myprotein! Shop Now and Save! Limited time only! Get 3 FOR 2 on Pills and Aminos at Myprotein. Save at least 30% OFF Bestsellers at Myprotein! Get extra 22% OFF The Sale at Myprotein! Save 50% selected products at Myprotein. Save Now! Get 40% OFF Protein Powders at Myprotein! Save 10% on top of nutrition clearance and clothing outlet! Get 30% off selected products at Myprotein. Save Now! Get EXTRA 25% off SALE at Myprotein! Get 30% off Vegan products. Save Now at Myprotein! Get Up to 35% Off Mystery Discount at Myprotein! Get 33% Off Best Sellers at Myprotein! Shop Now and Save! Save 33% off Best Selling products at Myprotein! For a limited time, get 40% OFF EVERYTHING at Myprotein! Get 40% OFF Everything at Myprotein! Mystery discount available through site. Shop Now and Save at Myprotein! Countdown from 30% off SALE at Myprotein. Shop Now and Save! Save Up to 35% OFF Mystery discount at Myprotein! Get 40% OFF at Myprotein. Shop Now and Save! Get 35% off Best Sellers at Myprotein! Get 30% off Best Selling Products at Myprotein! Get EXTRA 30% off SALE at Myprotein! Get 40% OFF full priced item at Myprotein. Shop Now and Save! Get 45% off Selected Full Priced Items at Myprotein! Get 35% off when you spend £15 at Myprotein! Get 40% off when you spend £50 at Myprotein!